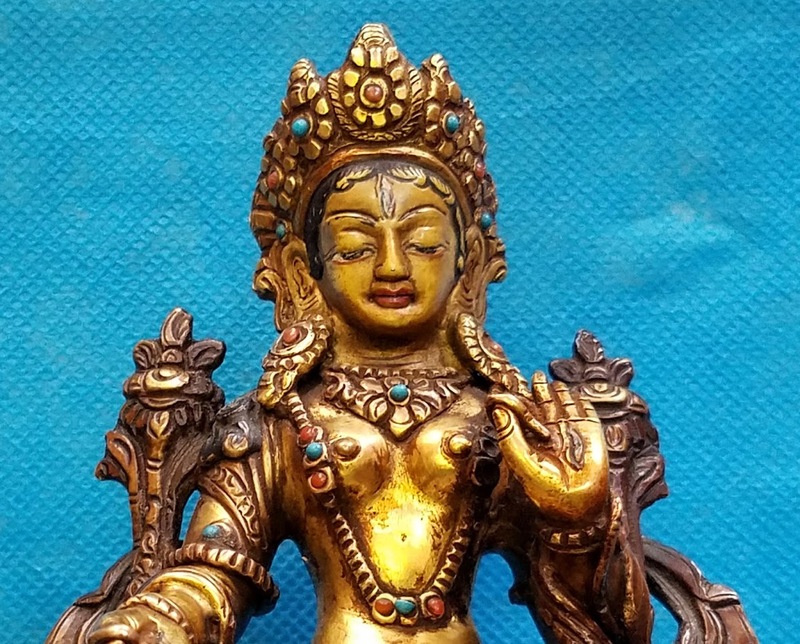 This female deity of the Buddhist Pantheon is said to be born from the tears of the Bodhisattva of compassion (Chenrezi). 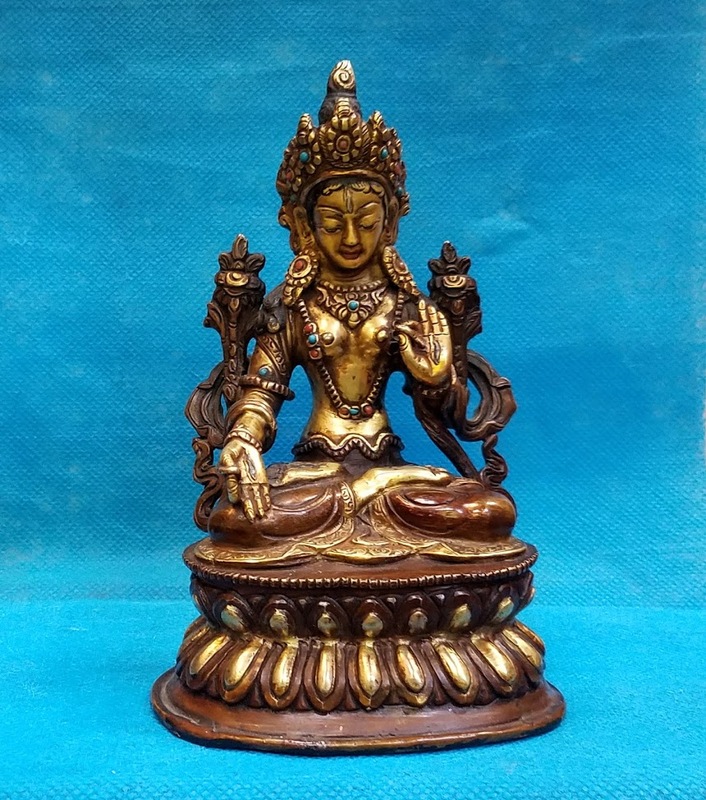 She is believed to protect humans while crossing the "ocean of existence" and is portrayed seated like a Bodhisattva. 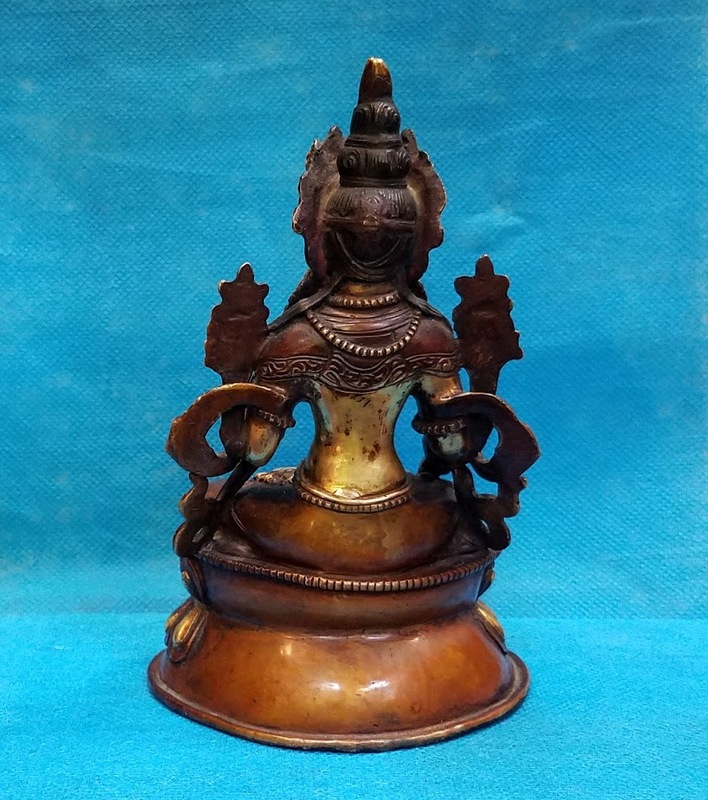 She has seven eyes each on the palm, feet and one on the forehead and is seated on a full Vajra (or lotus) position and has full blooming lotus flowers adorning both her shoulders. Mainly worshiped for healing purpose and long life, she's also known for compassion and serenity. 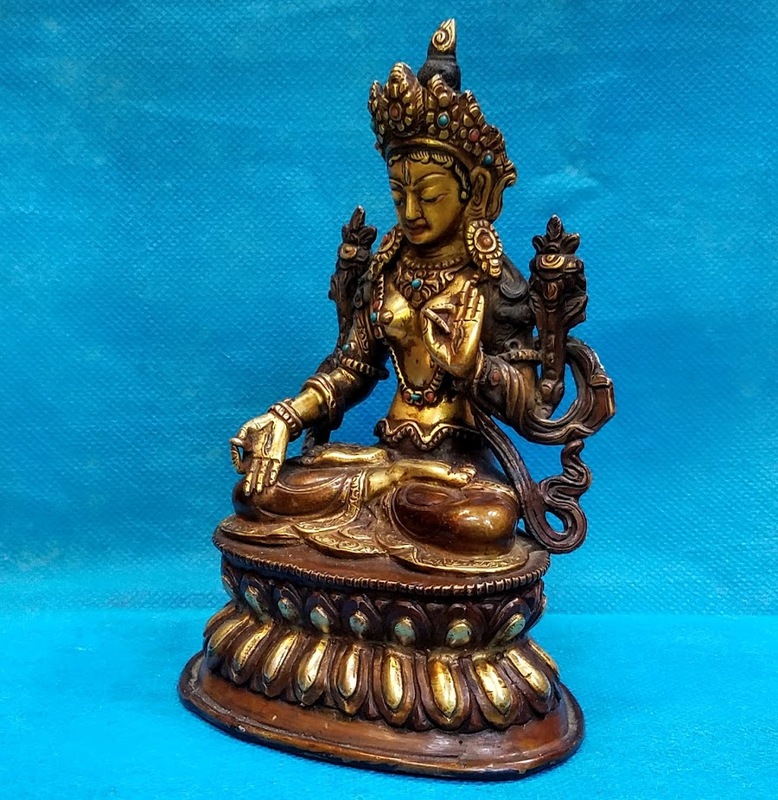 This particular statue is on a double lotus pedestal base and is decorated with turquoise and stones and is adorned with a bejeweled crown, earrings, two necklaces, armbands and bracelets. 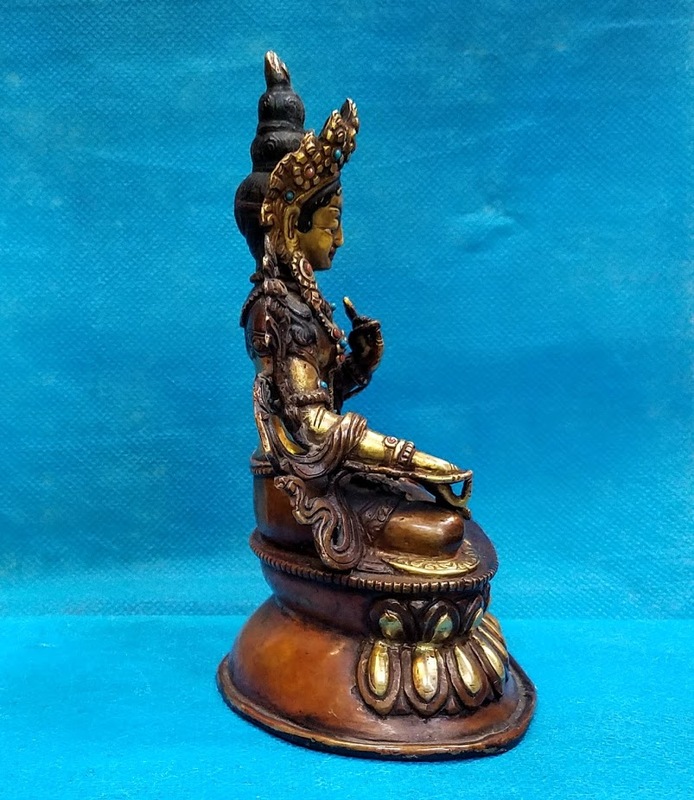 She is hand crafted with a mix of three of the five metal alloys of sacred significance used in making Buddhist and Hindu deities and idols; i.e. gold, copper and brass. 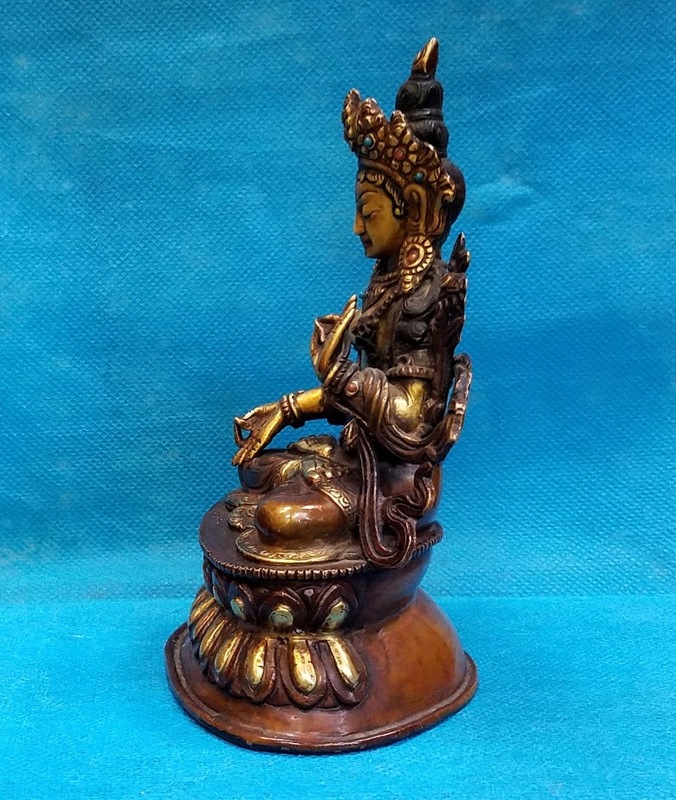 Totally hand made, this statue depicts the fine workmanship of the people from eastern Bhutan, and is an heirloom piece approximately 100 years old. 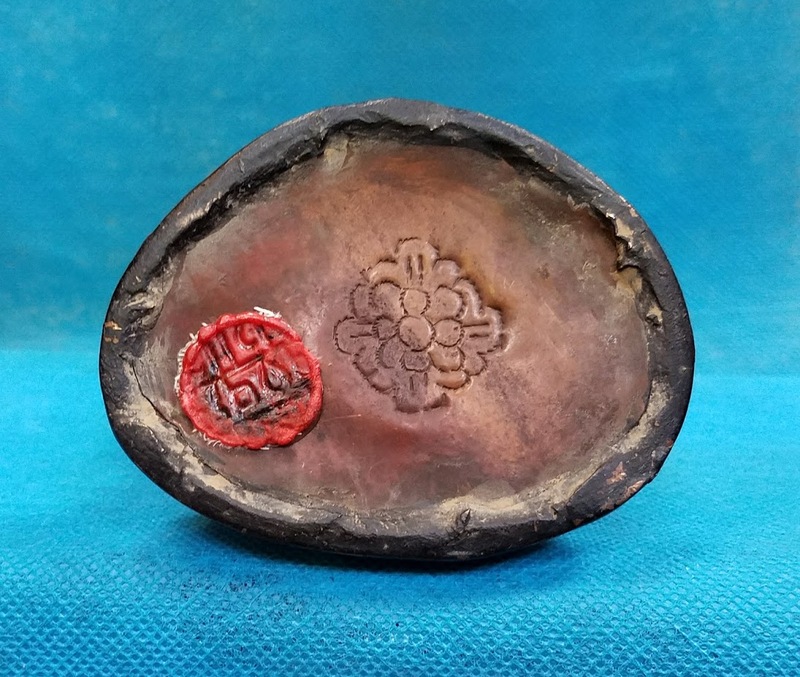 It measures 6" tall, 4" wide and 3 1/4 " deep. 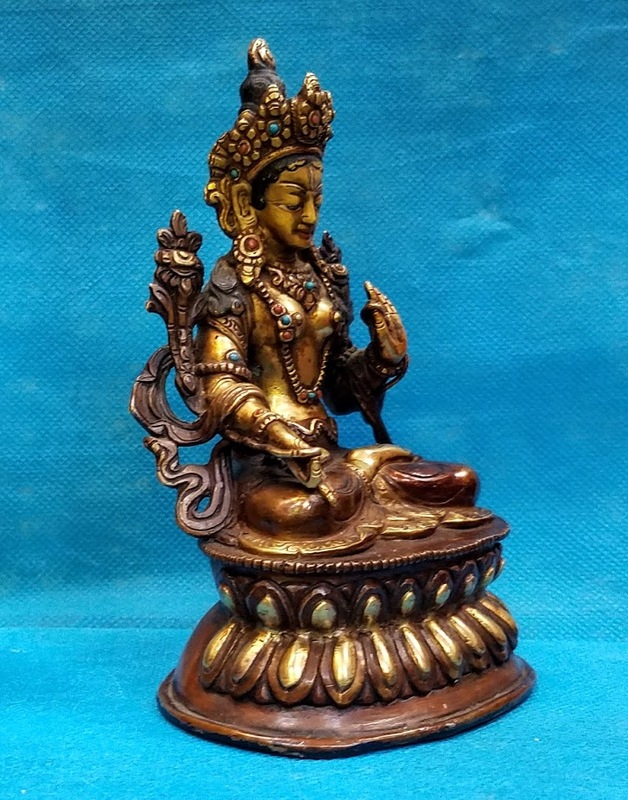 I acquired this fine detailed Tara in April, 2017 in Paro, Kingdom of Bhutan (locally called 'Druk Yul', "land of the thunder dragon"), which is nestled 7,200 feet above sea level in the western Himalayas. The Bhutanese treasure and revere their natural environment and habitat like no other country I've had the pleasure to visit.